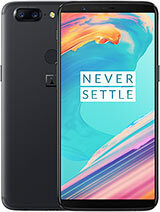 this phone is awsome realy awsome my advice to you BUY IT! is there a way.. to increase the batt life of this phone? I really need help. any one knows why skype dose not work with Diamond? even with rom 1.93? iceman, 16 Aug 2008Dudes! is it possible to install the google map in htc diamond?Hi. I own a Touch diamond that actualy came with Google maps pre-installed. So, yes you can install it. the htc phone difficult to find spare part. Do go with these iphone freaks who mock Htc just because of rivalry . Touch Diamond is a real cool full in all respects , Perfect design ,good interface , And battery is not a big prob . My Opinion : I u have sufficient money don't goo for any other phone ...BUY DIAMOND !!!!!! Hi Guys, still waiting for any smart answer, Why Skype 6.1 dose not work with diamond? Andy, 15 Aug 2008DO NOT GO IN FOR THIS MOBILE..... 1. Poor battery Life. 2. 3d touchflo is not that respon... moreIN my view this is a bundle phone. It is waste investing so much of money for such a waste moblie. Nokia 1650 model is better than Diamond of HTC. what is ROM 1.93 and where can i get it? where and how can i download video, movie and music video? dear buddy tks in advance for your help.